As the time seems to zoom by, the last Mercury Retrograde cycle of the year begins November 24th 2011 at 20 Sagittarius 06, until it turns direct on December 13th 2011 at 03 Sagittarius 52. This period of time needs to be handled with caution, with carefulness and with retrospection to avoid glitches, personal misunderstandings, delayed, flawed, disrupted communications with ourselves and others. Although I am certain there always will be problems and mishaps, I do believe much of the frustrations and stresses we experience during this retrograde is sometimes caused by our own negligence in paying attention to the particulars. The area that seems to be highlighted during this interlude is connected with our belief system, our optimism, our legal affairs, and our long distance travels and explorations. Mercury in Sagittarius is in detriment, and needs our concentration in staying responsive, in paying attention to the details and in keeping alert. To snooze is to lose, gestures this retrograde, as this is not a risk to be taken lightly at this moment in time. “The Sabian symbol for 21 degrees of Sagittarius and for 4 degrees of Sagittarius is taken from “The Sabian Symbols in Astrology by Marc Edmund Jones”, and what follows are my comments. Sagittarius 21 A child and a dog with borrowed eyeglasses This is a symbol of man’s unimpeachably universal spirit, and of his realization that there are no absolute lines of demarcation between higher and lower life or between the varying stages of competency to be found in each. Self-consciousness requires a supplementation of its capacities in the structures and materials of each particular plane of being, and individuality develops as it enters into reality through its own characteristic modes of insight. The keyword is examination. When positive, the degree is an exceptional skill in the analysis of personal opportunity throughout the many dimensions of experience, and when negative, distorted vision and self-defeating prejudice. Sagittarius 4 A little child learning to walk This is a symbol of the self-confidence and authority which come to man through his refinement of skills and discipline of understanding, and of his capacity for mobilizing every potentiality of self at any point of challenge in events. Here is emphasis on the individual’s effective and profitable participation in a reality which he has been able to approach and master through the completeness of his perspective. His gift of concentration is his genius of self-fulfillment. The keyword is ability. When positive, the degree is high sensitiveness to every possibility of accomplishment or broadened self-discovery, and when negative, unsuspected bigotry or foolish exactitude. With Mercury Retrograde and in a sign where its full potential is not realized, this symbol speaks to us that the energy at this time is presenting us the opportunity for curiosity and role playing. In so doing we gain the understanding of the actions of others and we achieve personal growth with higher knowledge. This sensitivity to the needs and wants of others ultimately creates the resourcefulness in our own characters to manifest the reality we wish for ourselves. Our greatest advantage lies in the fact, that at this time period, it is affording us some quiet time to reflect, reinvent and reinvigorate our souls and to who we are. This interlude allows us to experience, improvise and to look beyond our familiarities to see new vistas and challenges. At the same time as we continue our journey, we need to impress into our consciousness, the need to pay attention to details and to articulate our desires and goals. While we work through this period and as Mercury goes direct, the Sabian Symbol reveals that confidence and ability is gained through trial and error. To snooze is to lose is the message of Mercury Retrograde in Sagittarius on November 24th 2011. As the daylight becomes shorter and the dark of the night becomes longer, and the winds commence to blow with the weather getting colder, we are pressed by the subliminal to realize our need to revisit, reinvent, and reenergize our thinking. As the winter begins to claim its share of the year, our instincts and intuition is telling our subconscious and our soul, that we need to store up, knowledge and information so we may arrange them into a logical sequence for use when the time is right. As the ideas and thoughts are molded into our desires and are taken hold by our subconscious, only then will they blossom and materialize, creating mental magic. With all new moons we are given a blank slate to begin new projects, and there is no exception with 3 Scorpio 2 New Moon on October 26 2011 at 12:55 pm PDT which is urging us that methodical persistence creates metamorphosis. The New Moon is in opposition to Jupiter in Taurus, is trine toNeptunein Aquarius, is sextile to Pluto in Capricorn, and with Mars in Leo sextile to Saturn in Libra. These aspects are asking us to question our understanding of our beliefs, morals, rules and regulations we stand for and defend as our own, in which we live by. If there is any reasonable doubt our viewpoint is not just and fair to all, because our perceptions and our ability to see through the mist of illusions and delusions at this time may be hindered. We must be flexible and be able to improvise a solution that can deliver what we believe and what we stand for. We need to acquire the intensity and the methodical persistence to follow through what we started and believe in. At this point in time, it is not important that we accomplish the fulfillment of our desires and the purpose of our sojourn, but the way and the how we try to bring it about, which is vital to our wellbeing. 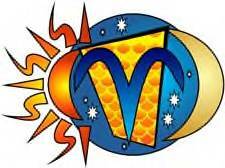 “The Sabian symbol for the 4th degree of Virgo is taken from “The Sabian Symbols in Astrology by Marc Edmund Jones”, and what follows are my comments. Scorpio 4 A youth holding a lighted candle This is a symbol of a true contact with inner and transcendental realms of reality, and of the rewards to the spirit which come from a realization of the continuing ties between the least of individuality and universal life as such. There are always evidences of higher meaning and immortal value in each moment’s detail of everyday living, and there is an enthusiasm which arises from an ever-clear vision to bring every possible sustainment to man in his outer and practical world. The keyword is reliance. When positive, the degree is an unquenchable and irresistible confidence in the goodness and integrity of all things, and when negative, a simple-minded impracticality if not a very unhealthy self-obsession. This Sabian symbol emphasizes the need to come into this world with the innocence and the wonderment of a child and in having the wisdom, the respect and the understanding of the implications the candle represents and stands for. This candle speaks to us of enlightenment, vision, inspiration, clarification, illumination, radiance and discernment in all matters. Its light brings an awareness of the ultimate sacredness of all life, and the message, that the divine spirit flows through all life and matter. This light in the dark represents discernment and searching for higher meanings and significances in every experience. The candlelight points the way for others in the dark to see things more clearly and to lead the way out of darkness. Even with knowledge and wisdom, unrelenting action is needed to reach the goals we set for ourselves and once there we will come to the realization, we have changed. The transformation may be more dramatic then we may become conscious of. To achieve our purpose and to bring about change, we need to follow the message of this Scorpio Moon, which urges us that methodical persistence creates metamorphosis. 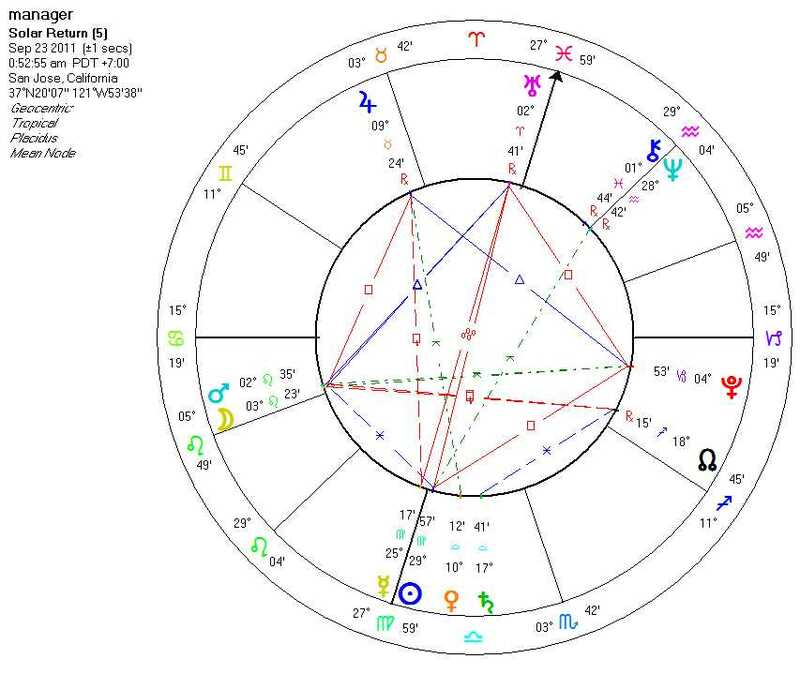 As an ardent student and follower of astrology, I have always felt if something important, whether good or bad is happening in one’s life, it should show up in a chart. With the financial downturn, some businesses are having more difficulties in making a turn around, or just keeping afloat, then others. A week ago, the General Manager of the company I work for, suddenly announced he was retiring. This caught everyone by surprise and the rumors began to fly. What made it worst was the fact, that he left the company one week after the announcement. I assumed the decision came from the main office and I began to wonder if he suspected and anticipated it, or was it a personal health problem he was dealing with? Fortunately he took action while he had the advantage to get the most out of the situation at hand, instead of waiting for the foreseeable future. Luckily I had his birth data, and I wanted to assure myself, the facts would show up. My emotions were racing as I watched the chart unfold on to the computer screen, and as I studied the chart, I began to understand the situation and the decision he made. The obvious indication was Uranus in the Solar Return tenth house hinting at unexpected changes in his job situation. The interesting thing, he was about three weeks away from his birthday when he gave his resignation, indicating how quickly his chart was fulfilling the scenario of the possibilities of the coming year, and the paths he might take. The solar return ascendant was in the natal second house of finance with the solar return tenth house in the natal eleventh house of friends, hopes and wishes. With Uranus in the house of careers, the unexpected is to be expected, not necessarily as malefic as one might assume, but more beneficial when considering future outcomes. With Mars and the Moon in the first on the edge of the second house, trine Uranus and sextile the natal Sun in the fourth house of home and final outcomes, and with the Sun in opposition to Uranus, the circumstances and the decision he would make would appear to be beneficial in the long run. It seems from the surface of the aspects that the decision from management did not come as a surprise to him. With Mercury sextile his Moon, he needed to get in touch with his feelings and emotions, in deciding what was important to him and his future and to deal with the inevitable that was approaching sooner or later. The key and the aspect I feel that made him to decide on the path he decided on was Mars and the Moon on the cusp of the second trine to the Sun pointing to a financial settlement to his satisfaction. This I found out later through a reliable source was the turning point. My thoughts on Uranus, having seen it in many Return charts, is the unexpected and unusual things that occur with one’s career and professional life, is not necessarily an unpleasant situation or occurrence for the individual involved. Sometimes there is a career change instigated by the individual or the surrounding conditions, which are more often at this point in time the repercussions of the collective events happening globally. With this aspect one must grasp opportunities and solutions almost impromptu without long reflection, or perhaps independently of such thoughts. As our impulsive action on our first intuition, may bring more fruition, happiness and satisfaction then we realize at the moment. Uranus is like going through Mercury Retrograde, one never knows what to expect. Uranus needs to be handled with caution, sensitivity, and carefulness to avoid misguided decisions. We need to react to circumstances and situations spontaneously to achieve and to maintain the career success we are aiming and hoping for. I do believe much of the frustrations and stress we experience with this planet in the tenth house is sometimes caused by our own carelessness in paying attention, or not paying attention to the particulars. My final thought is that we will experience Uranus in a better light if we treat the unexpected as the norm during this period of time, and not fear it. As the summer months begin to fade and the chills of the winter winds begin to blow, the celebration of the Hunter’s Moon in which meat was gathered and prepared, that would sustain the community through the dark cold months ahead, begins. 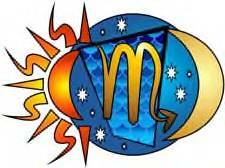 This is commemorated and starts with the 18 Aries 25 Full Moon at 7:07 P.m. PDT on October 11th 2011. The moon makes a grand trine to the North node and to Mars, with Jupiter in trine to Pluto, which is signaling into our unconsciousness that empathy is the best policy. The night sky is directing us to gather in our thoughts and to prepare and be ready to take action when the time comes. It is telling us, to allow our thoughts and convictions to sustain us during the coming months, and when our symbolic spring comes, to allow them to bloom. To observe and to maintain without interference, the gem of our ideas that they transform and reinvent themselves into situations and circumstances that will bring us the satisfaction and the happiness we are aiming for. Empathy is the keyword at this time in which to have the understanding, the sympathy, the compassion for others, and the ability to visualize what it would be like, if one was in their shoes. But, one of the most important deeds is to consider and to have empathy for ourselves too, when putting these attributes into action. Not to be so critical about ourselves, and to live, to understand and to feel each moment of our life fully. We must allow our higher intuition to make and to generate the right choices we personally need for success and joy. “The Sabian symbol for the Moon in 19 degrees of Aries and for the Sun in 19 degrees of Libra is taken from “The Sabian Symbols in Astrology by Marc Edmund Jones”, and what follows are my comments. Aries 19 The magic carpet This is a symbol of the periodic expansion of man’s freedom of spirit and soul through his widely winging interest in potentialities far removed from his normal promise, dramatized here on the side of a vicarious or imaginative self-fulfillment. There is in consequence a revelation of the mind’s infinite capacity for an overview of experience, or for a participation in the idealistic possibilities without any necessary self-involvement. Human affairs become personal only to the precise extent desired. The keyword is panorama. When positive, the degree is full realization of the broad endowment which every man may make his own, and when negative, detachment from ordinary living and a scorn for the responsibilities. Libra 19 A gang of robbers in hiding This is a symbol of the periodic exercise of man’s freedom of spirit and soul in a complete if often unhappy deviation from his normal impulses or attitudes, dramatized here on the side of a practical or everyday self-fulfillment. Emphasis is on every person’s disturbing capacity for antisocial or even self-perverted practices, or for self-involvement in potentials which may have imaginative but hardly intelligent sustainment in his consciousness. The reversed symbolism reveals his need for initiative, and for a more challenging perspective. The keyword is divergence. When positive, the degree is alertness to every threat against a true individuality, and when negative, abnormal mistrust of everything worth while. The important key in interpreting these aspects with the Sabian symbol is empathy. With this attribute in action, the doors are open to give us the space we need, not to be critical or limit our freedom of choice. When we are at peace and accept ourselves, it is like having a magic carpet symbolizing freedom, optimism, hope, aspiration and the ability to rise above any situation or tribulation. At this point the accent is creative imagination with the advantage of being able to visualize and to maintain with a clear image of what we wish to accomplish. This symbol also speaks about our innate freedom to choose the manner in which we will satisfy and complete our desires and wants. As with any moon phase energies we wish to experience and use, we need to quiet all outer noise and commotion, and allow our intuition to pick up the message. If we listen, this Full Moon is giving us the signal that “empathy is the best policy”.